The Cyclone24 philosophy is based around our belief that teams are enhanced by a shared achievement. Taking on one of our challenges can strengthen relationships, engage & motivate colleagues, promote health & wellbeing, offer a true sense of adventure and have a measurable impact on self-esteem, team value and workplace culture. In May I took part in a cycling event that was up there with one of the best things I have ever done! 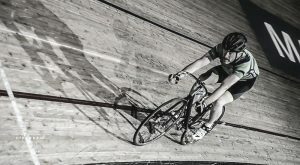 It was a 24 hour team cycling event at the Manchester velodrome and reflecting on the event with this month’s ‘teams’ theme in mind made me realise how critical effective team work was in our second place success. Two clear aims. And we were totally united on them. Simple! Next, we needed a plan. Not quite so simple. Who would cycle when during the 24 hours? How long for? When would we sleep? What supplies did we need? How could we strategically have the best chances of achieving our aims? There were so many things to consider – these aren’t even a hundredth of the questions we confronted when planning and re-planning. As is often the case, the original plan had to change. Many times. Injuries during training meant that we needed to adapt the plan and still be able to consider our goals as achievable. Through this, we forged incredibly strong relationships, ultimately observing that we had built exceptionally strong team spirit. Cyclone24 is a team event, although it required a lot of individual training. To give you an idea, we had to build up the stamina to cover over 900km in 24 hours between the six of us. So, we each had to be dedicated to putting the hours in. Like many business teams of today, the six of us are not local to one another and therefore needed to find the best ways of keeping in touch and updating one another on our progress. What’s App was our solution. Yes, it’s just a messaging service, but it served as an excellent communication platform for us to encourage, motivate, moan (just a little) and share our training experiences. Twitter was the next social hero in our adventure, providing a space where we could not only share our successes and challenges with friends and family as well as one another, but also promote our fundraising efforts and the event itself. 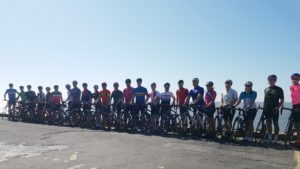 We created a page dedicated to our cycling team and it was a great way for us to document ‘challenge day’ as well the training hours we had all put in. All of the above contributed massively to us being able to complete 3658 laps (914 km) in 24 hours, coming second place to a team who completed a mere 19 laps more than us! In recounting this story I’ve realised how relatable many of the things we experienced are in a business context. For the best chances of becoming a high performing team, business teams need goals, a plan, individual responsibility and a collective aim. They need methods of communication that work for them and suitable ways of addressing challenges and celebrating success. With these key ingredients and the right people in the right roles, teams can only be one thing…successful. Undertaking the Cyclone24 challenge creates a strong bond between team members which we believe leads to a more collaborative environment putting the focus on creativity, productivity, and communication and developing an incredible culture within your workplace.